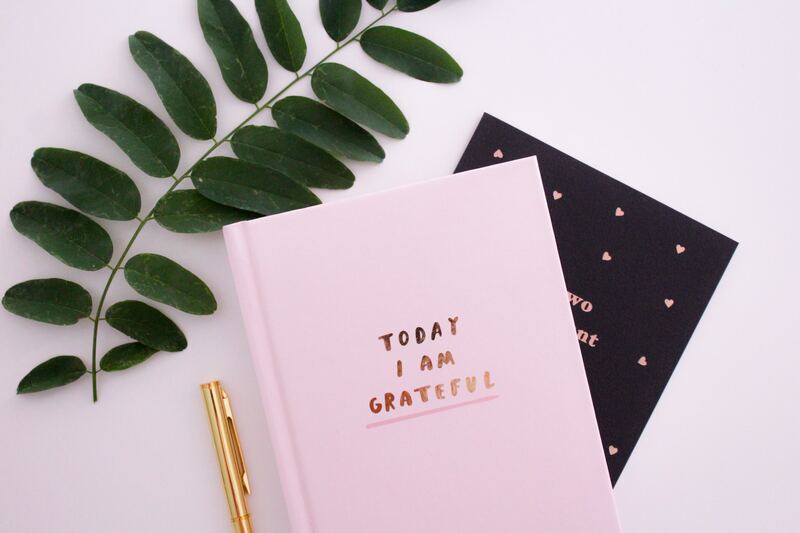 Journal Your Way To Happiness in 7 Easy Steps! When I was eight or nine years old I got my first diary and I still have that diary to this day. When I look at my journal entries I have a new perspective on who I was at that age and what I thought was important. Most of my diary entries were emotional or linked to things that were happing in the family, or entries about my friends at school. When I started journaling as an adult, I realized in the process that there was too much information moving through my mind and because I did not feel I could fit it in, I stopped journaling. Then it occurred to me that what I really wanted to do was live a happier life, so I focused my journaling on things that make me happy. After six months of disciplined journaling to be happier, I had a formula. Here are seven ways you can journal to get on that path to make your life happier. Start Today – There’s no day like today, so just begin. We all get overwhelmed adding more to our plate, but once you get this journal going you will learn how to cut the fat out of your life because this journal will illuminate what is working, which means that what does not belong will become very clear. Take It With You – Find a journal that makes you happy, be that because it is aesthetically pleasing, or that the quality of the paper is high. I find journals in many places, from book stores to curio shops around the world. Some are leather-bound, but most are spiral-bound and have pictures or designs that I enjoy. You need to carry this journal with you throughout your day so that you can including entries as they come up, especially when you have those pockets of empty time, such as waiting at the doctor’s office, while your car tires are being changed, or in line for check out at the grocery store. Set Small Goals, Note Just One Thing – Do not overwhelm yourself. You do not need to write down everything you think or feel — this will not produce the results you want. As an example, here is an entry while recently waiting to see my doctor: Love these straight-leg Levi’s with tan sweater/turtle-neck and brown Jack Rogers booties. A few hours later, taking a work break, I sat in on a webinar and thoroughly enjoyed the community: Loved the productivity webinar and got some good tips from it. My next entry, two hours later: Obsessed with Dang Sticky-Rice Chips with Thai Rice. Such a healthy snack that is also gluten-free! Don’t Worry About Content. What makes you happy, as illustrated above, can be simple things like your pets, the cup of tea you had with a friend, something nice someone said to you, spending time with family, a yoga class that really relaxes you. As you note the things that make you happy, you will notice that you will expand with more details around those ideas or events. Doodle – Feel free to add illustrations or image you draw by hand. We don’t doodle enough in our lives and this is a chance to do so. My entries will sometimes include an illustration of an outfit I wore or a sketch of a person I had lunch with whose company I enjoy. The creativity that comes from this is just awesome. Commit To Four Weeks – Do this for four weeks, every day, even if the entry is just one or two things. Do not feel the need to journal everything, even simply adding one thing that makes you happy will yield results. Reflect – After you have entered four weeks of journal entries, sit down and review what you wrote down. The direction and body of content will amaze you and provide clarity to your entire life. You will have a very good idea as to what truly makes you happy and the things that make your day-to-day life worth living. I write about entrepreneurs and cool stuff they do, travel, food and well-being.